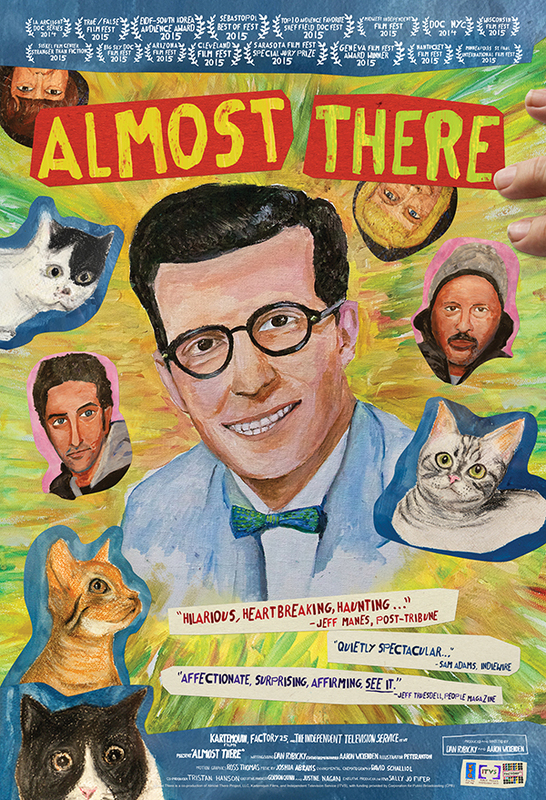 Kartemquin Films and Factory 25 recently released information of the upcoming release of the documentary "Almost There". The documentary is about Peter Anton and his struggles he live with. It has played at many film festivals and film series such as Doc NYC and LA Archlight Doc Series. The film will also hit VOD on December 4th. For more information on this film, you can visit the film's official website at: www.almostthereproject.com. In co-director Dan Rybicky's words: "We're so thrilled that our project, which started in 2006 with Aaron and I going to Pierogi Fest to see the World's Largest Pierogi, has brought us to this amazing moment. We can't thank everyone at Kartemquin Films enough for their unending support over what has been almost a decade of hard work—and we can't wait to share what we've made nationwide with what will be our largest audience yet. Hooray for art!"